It is reccommended that students enrolled in the 5 day progressive course arrive at least 1 or 2 days prior to the Monday start date. Take a day or more to relax at the accommodation of your choice after your long day of travel. You'll need as much energy as possible for surf camp. It is our pleasure to assist all students in all ways possible throughout their stay. 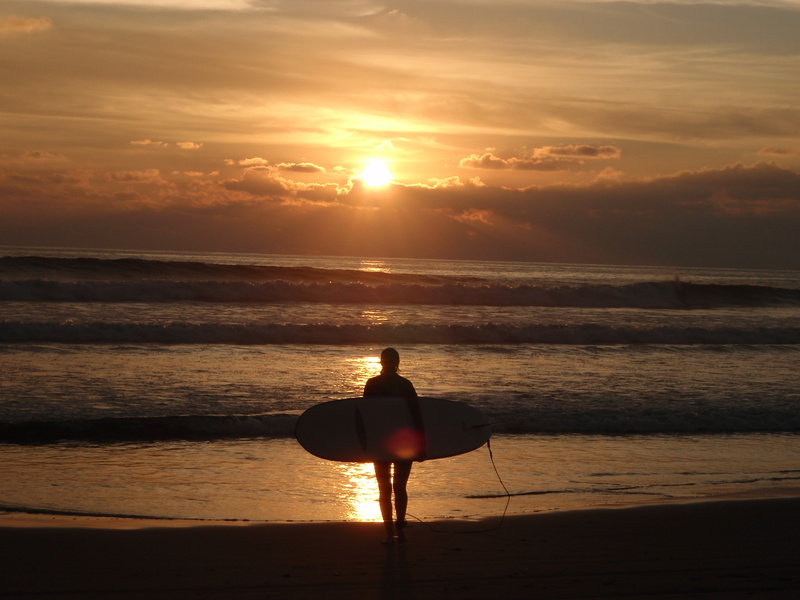 Your first lesson begins on land with a thorough introduction to your equipment as well as an in-depth discussion on controlling your equipment by controlling your body movements while on the surfboard. You'll learn how to effectively paddle a surfboard and how to get from the prone position into riding position in one smooth motion. You'll also be introduced to the fundamentals of turning a surfboard with intention. After working on the fundamentals on land you'll apply what you've learned in the water. On your second day of camp we fine tune your mechanics and video everything, both on land and in the water. Your technique will have vastly improved since day 1. We'll spend most of the session working on skills in the water and finish the session reviewing the film. Watching yourself on film will help you recognize your strengths and weaknesses, leaving you with a clear understanding of what you need to work on during the week. Today we venture out into deeper water but not before another thorough land lesson covering ettiquite/safety and more technique. You'll learn how to safely paddle out into the line up and how to effectively paddle into your first wave, execute a turn and trim down the line. Now you're surfing! As you work on your technique and improve your skills, you'll continue to catch more waves and achieve the personal goals you set earlier in the week. Throughout this process we'll keep a close eye on you in the water, providing you with coaching and feedback when necessary in effort to help you improve. In surfing you'll come to realize that you never actually stop learning. Each paddle out offers a unique experience and provides the surfer with yet another lesson. But now you have a solid foundation from which to continue building your new relationship with the ocean and to enjoy surfing for life. 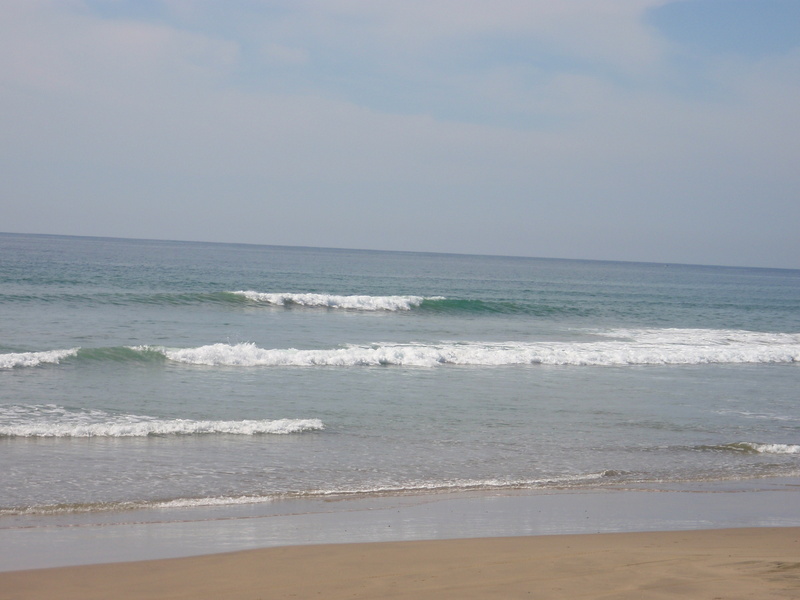 Staying in the Troncones Beach area but not ready to committ to a full week of surfing? Our 1 day mini-camps and private lessons might be just what you need. Perfect for the vacationer interested in surfing but not quite ready for camp. Contact us for rates/availability and to schedule your lessons before you arrive. 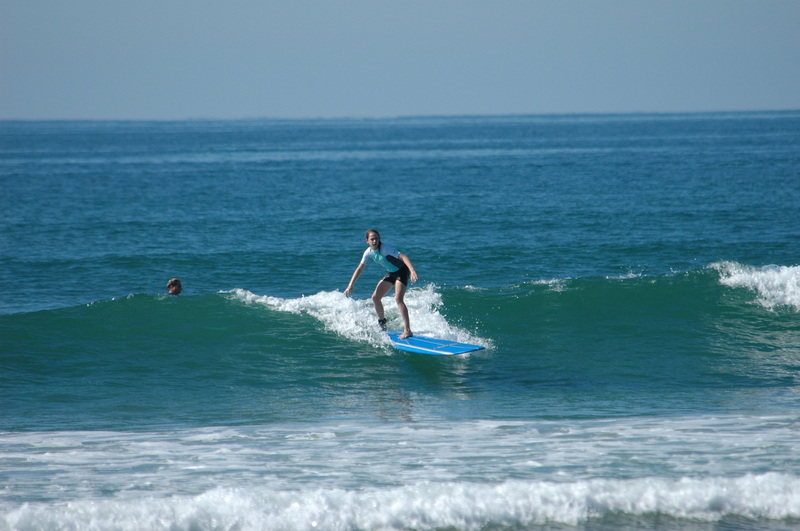 Prices include transportation to and from your hotel to the surf, all equipment, lessons, and a cold drink. Michael and Anne Linn both graduated from Cal Poly, San Luis Obispo and departed upon a surfing adventure through Mexico. They were offered work as innkeepers outside of Zihuatanejo and settled for two years. It was during this time that they acquired vast amounts of knowledge about living and surfing in the area. 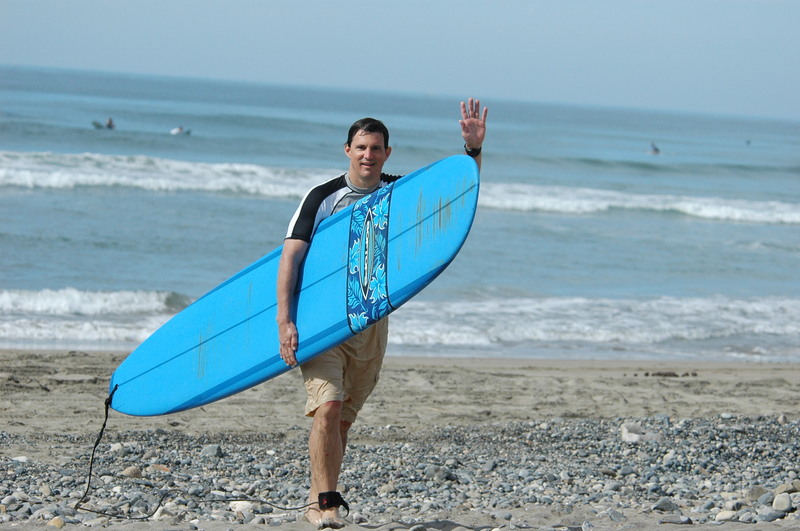 Michael is bilingual and has taught surfing to people of all ages and ability for the past 5 years. His work in social services combined with his training in education help him succeed as a surf coach. His goal as a surf instructor is to provide a safe learning environment and to teach sound fundamentals to get his students surfing. Michael is trained in both First Aid/CPR and Water Safety. 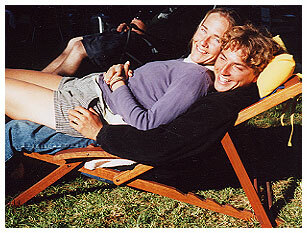 Anne worked for the outdoor program at Cal Poly coordinating and leading trips. She also has experience as a surf and swim instructor. 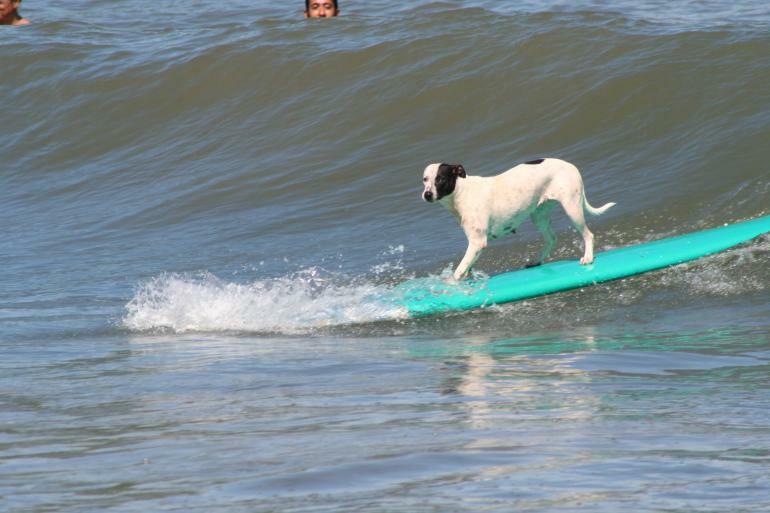 Her goal is to help all guests enjoy the best vacation possible while safely learning to surf. Anne is trained in First Aid/CPR and Wilderness First Aid. Winter months provide the most pleasant conditions with mostly sunny days and temperatures in the low to mid 80’s. 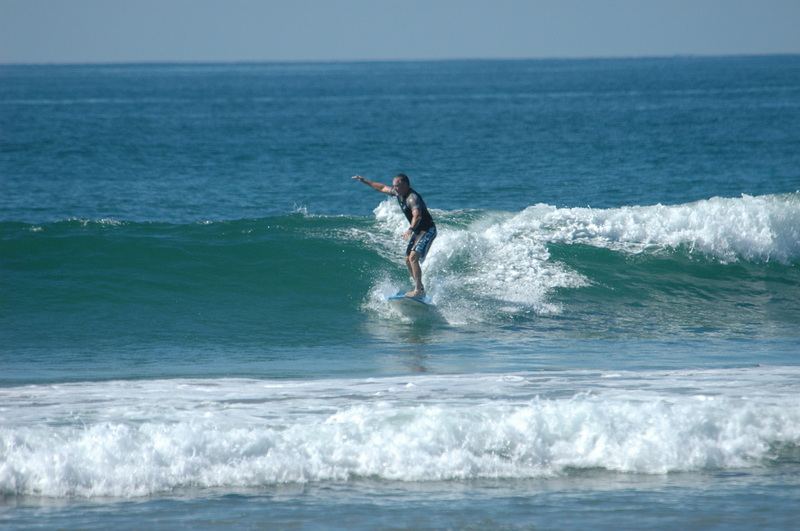 All surf clinics take place a short distance from Ixtapa/Zihautanejo at a beginner friendly surf break in the heart of mango country. The nearby villages are traditional with most occupants living off the land by farming and fishing. Tourism is in its infancy and in most cases non-existent. The beaches here are some of the best in the worid as they remain unspoiled by big development. Nearby Manzanillo Beach is rated Mexico's best by Lonely Planet and is within walking distance of your accommodations. 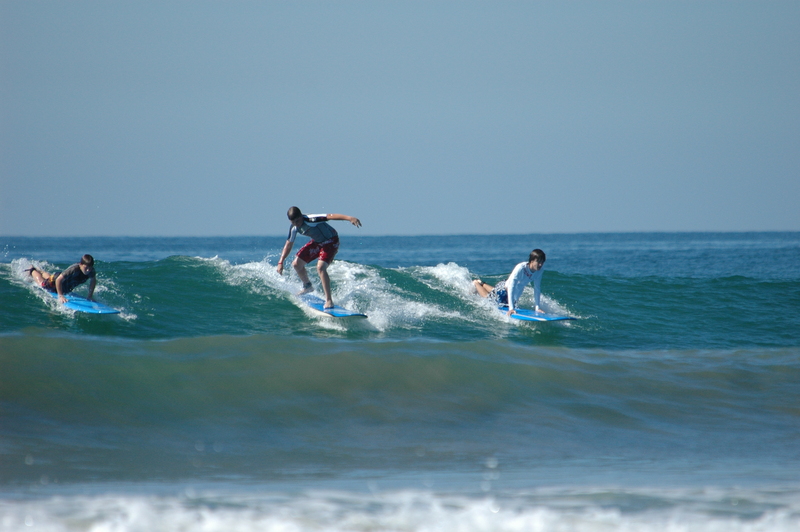 Students of ISA receive a unique blend of surfing and Mexican culture in one place. ISA’s clinic is held in a rural area of Guerrero, one of Mexico’s poorest states. A portion of our earnings is set aside to invest in education, recreation, and a general improvement in quality of life. 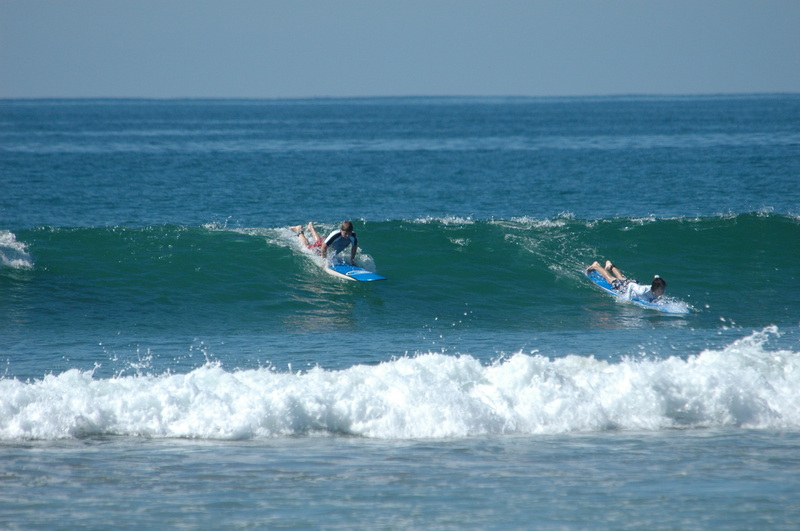 We thank all guests of ISA for taking time to try something new (surfing) and helping to improve the lives of others. We can't say enough about the fantastic experience that we had at ISA Surf Camp. I will never forget the expression on my son's face when he caught his first "BIG" Wave and I am telling everyone at work that I surfed and I have the video to prove it! We will always remember your generosity in sharing not only your surfing expertise but your obvious love for Mexico and the people that live there. You created a magical week with so many firsts...our first Christmas Eve pinata party in Mahajua, our first quincinerra party in Troncones, our first Mexican Christmas and of course our first Pop up! The house was beautiful, we especially loved the wonderful breakfasts prepared every morning by Anai and Lizbet. Thanks again for everything. You have a wonderful camp, a wonderful staff and a wonderful family. Our love to Kaya and Sol and we can't wait to see you all again next year! © Instructional Surf Adventures, Inc. All Rights Reserved.